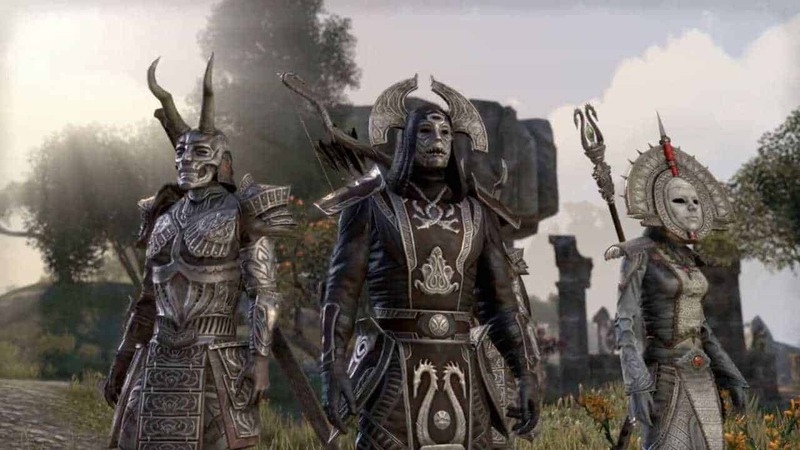 Last week Zenimax Online Studios confirmed that The Dark Brotherhood will indeed be the next DLC for The Elder Scrolls Online: Tamriel Unlimited and today the team announced the official release date alongside information on the new content. Players will be invited to join the infamous guild of deadly assassins as they return to the Gold Coast, an iconic location that makes its first appearance since The Elder Scrolls IV: Oblivion. A brand new passive skill line will be introduced to give players the tools they need to become the deadliest assassin in all of Tamriel. Join the merciless Dark Brotherhood of the Gold Coast, prowling in the shadows cast by the two great powers of the region. Though at the height of their power, the Dark Brotherhood faces a grave threat in the form of a mysterious black-armored warrior capable of bringing down their best agents. Venture forth for another exciting chapter of The Elder Scrolls Online as you carve a bloody swath across Tamriel in the name of the Dark Brotherhood! Sometimes the best way to deal with a troublesome person is permanent removal. As a Dark Brotherhood assassin, you’ll be tasked to fill that need. From simple assassination contracts to killing sprees on the blood-soaked streets of Tamriel’s sprawling cities, carve your path into the good graces of the Dark Brotherhood. The truly skilled may engage in special missions at the behest of their dark masters and fulfill a Black Sacrament, slaying a victim named by the Night Mother herself. This all-new skill line relates to murdering citizens and allowing the Shadows of Sithis to protect you from suffering consequences. Because those deaths were sanctioned by Sithis, you are the hand of the Void; you are the embodiment of death itself. The rules of Justice are for those bound by Nirn, not those who are directed by the ideals of Sithis. The Dark Brotherhood DLC for The Elder Scrolls Online will release May 31st for PC/Mac and June 14th for Xbox One and PlayStation 4. If you can’t wait until then current players are invited to check out the DLC content on the public test server.